In the week when over 50 Scottish athletes are in to Rio for the Olympics, a call has gone out to highlight the commitment by those who devote themselves to athletes at all levels. The national agency for sport sportscotland has today (3 August) opened its 2016 coaching, officiating and volunteering awards for people in the Glasgow area and is calling for people to nominate those most deserving for their help in bringing on the next genertion of sporting stars. Director of performance at sportscotland, Mike Whittingham said the Scots Team GB are hoping to bring back a record haul of medals from Rio. Stewart Harris, Chief Executive at sportscotland, said: “Whether you have an inspirational coach, official or know someone who dedicates their free time to volunteer, sportscotland is encouraging people from Glasgow to take this opportunity to celebrate family or friends who are committed to making a difference in the world of sport. Now in its fifth year, the awards continue to grow year on year. With eleven different categories, there is an award to suit all sporting levels and age groups from young and performance coaches to volunteers and technical officials. 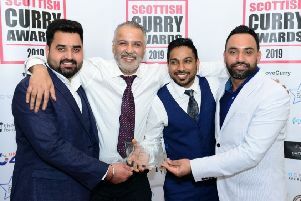 The winners will be announced at a prestigious awards ceremony in November at City Halls in Glasgow, hosted by BBC Scotland’s Bryan Burnett. Last year’s ceremony saw one of Scotland’s leading curling coaches, Lockerbie’s Marion Murdoch, recognised for her years of dedication and contribution to the sport as she was rewarded with the first ever ‘Lifetime Achievement Award’ from sportscotland. Marion organised numerous curling sessions including ‘try curling’ as part of the Lockerbie’s Curling’s Cool programme which offered curling coaching to 1000s of school children from the Dumfries & Galloway area. She has also coached a number of young curlers who have progressed to Scottish, European, World and Olympic winners and medallists.